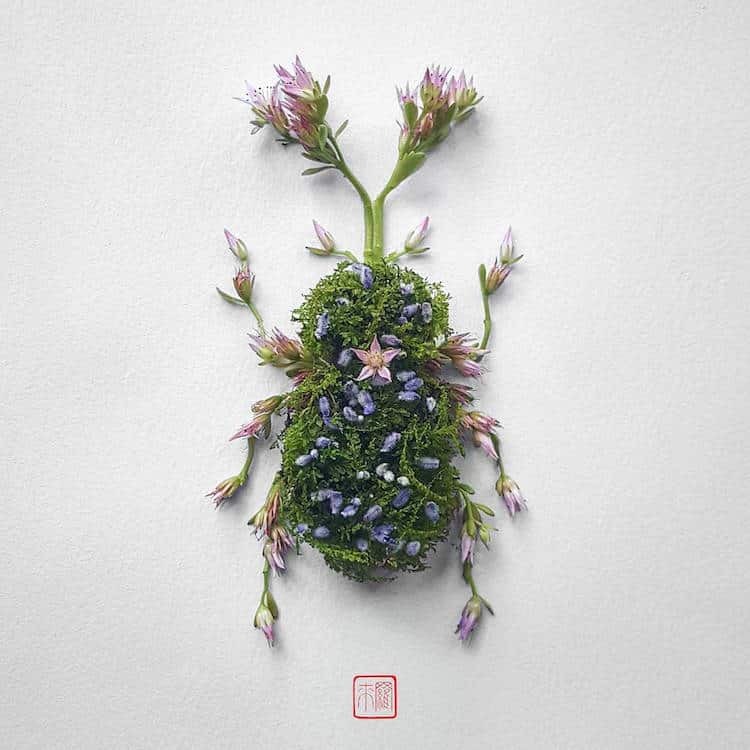 An artist from Montréal (Canada), Raku Inoue, created a series of artwork called Natura Insects. 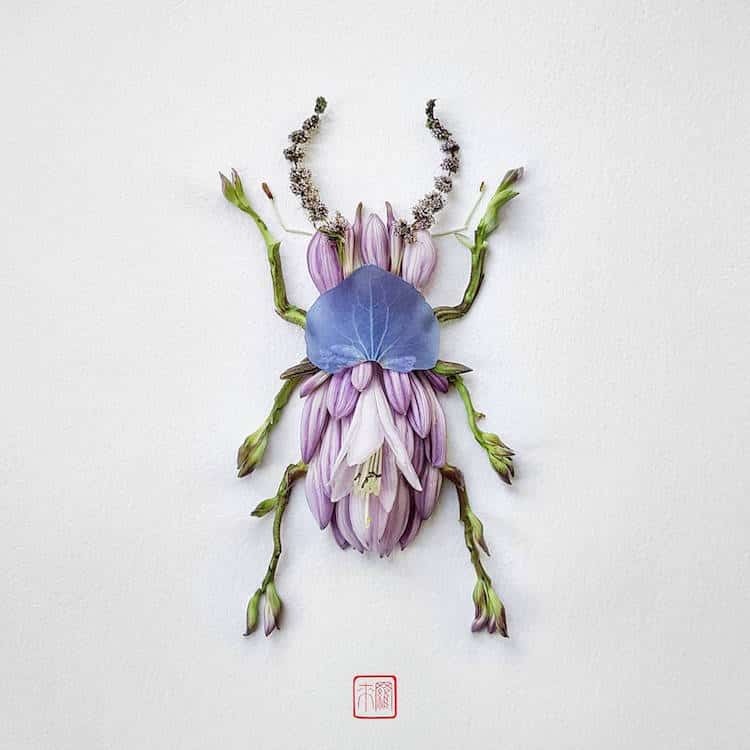 The artist uses different freshly cut flowers to transform them into insect shape colorful sculptures. 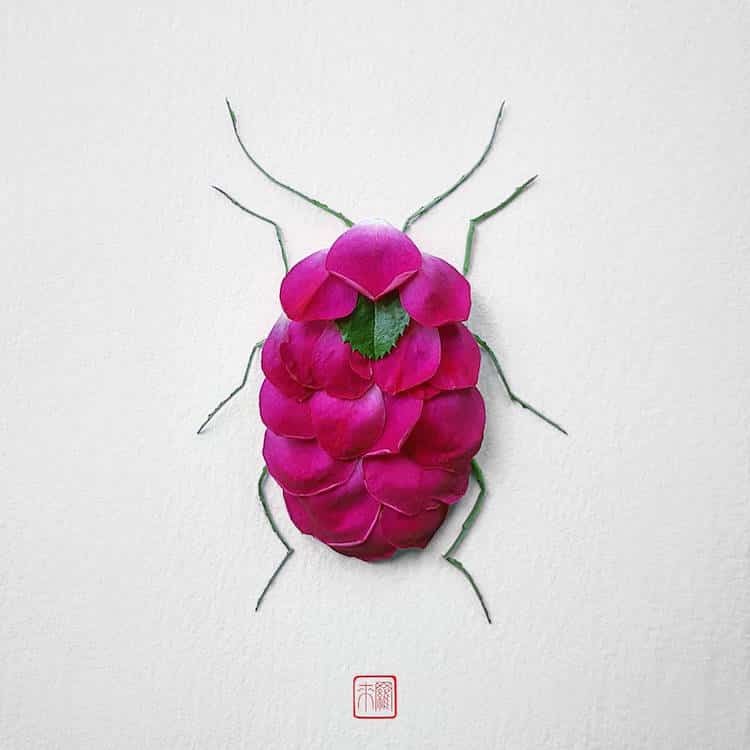 These floral arrangements turn the bugs into real and beautiful artworks and shows the creativity of the artist to approach his subject of matter. 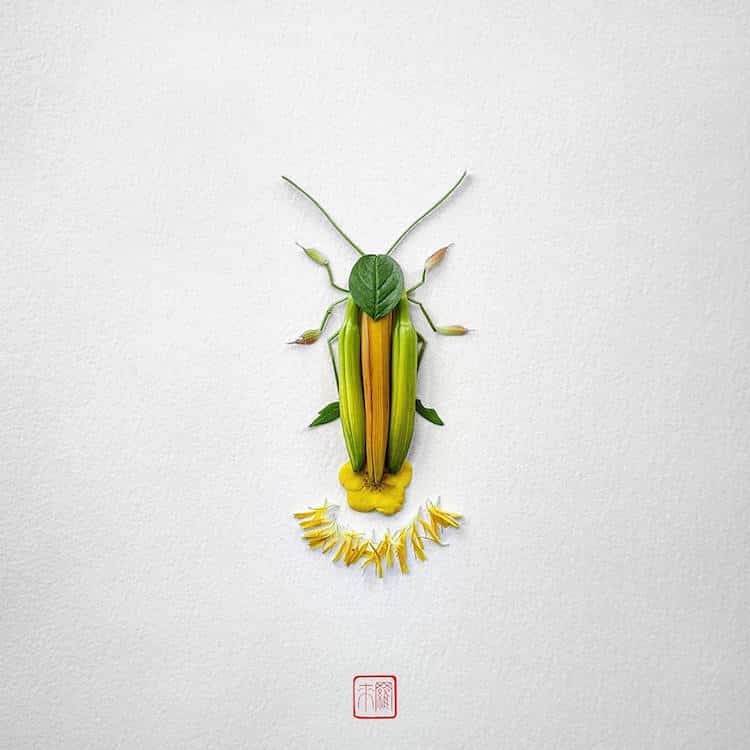 Natura Insect cleverly reduce the connotations attached to his subjects. 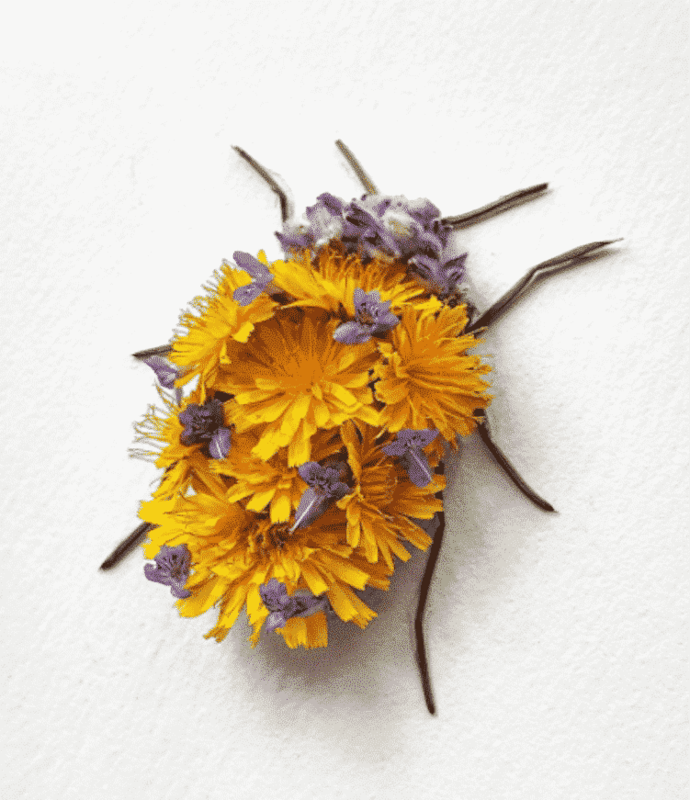 Indeed, the colorful flowers sculpted into bugs made the viewers change their pre-conceived idea of insects being creepy-crawly and useless creatures. 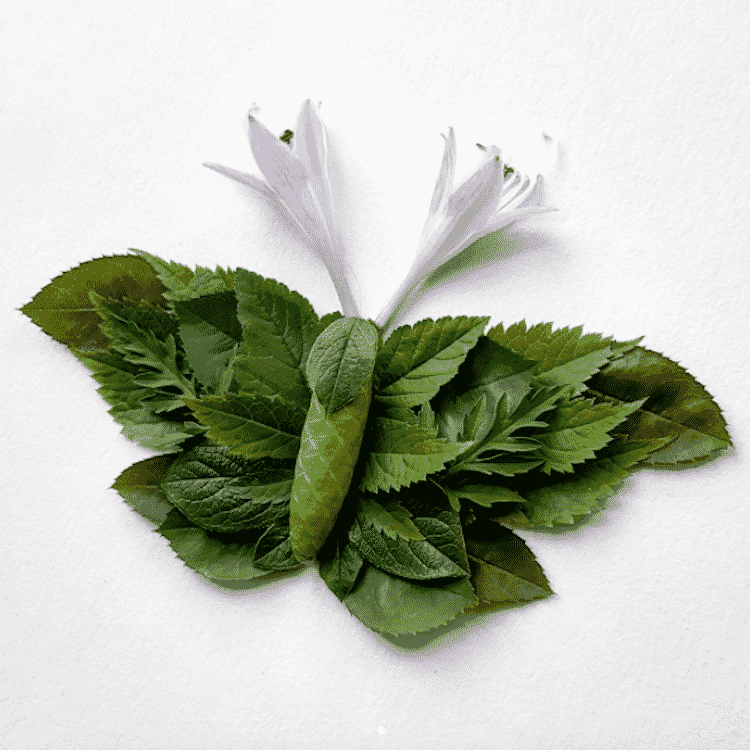 It opened the spotlight on this fascinating and unique fauna. 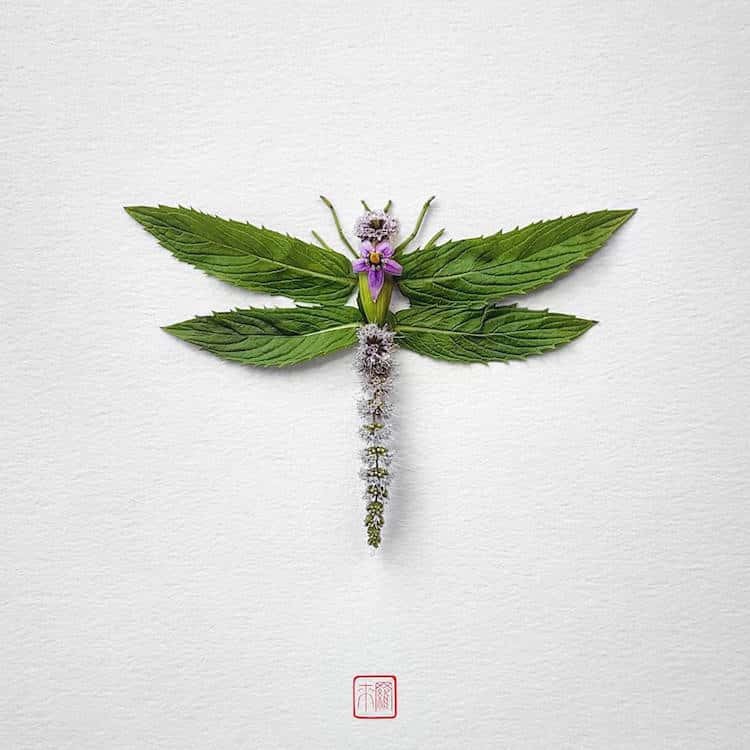 As a creative and original artist, Inoue works with more than only blossoms and blooms. 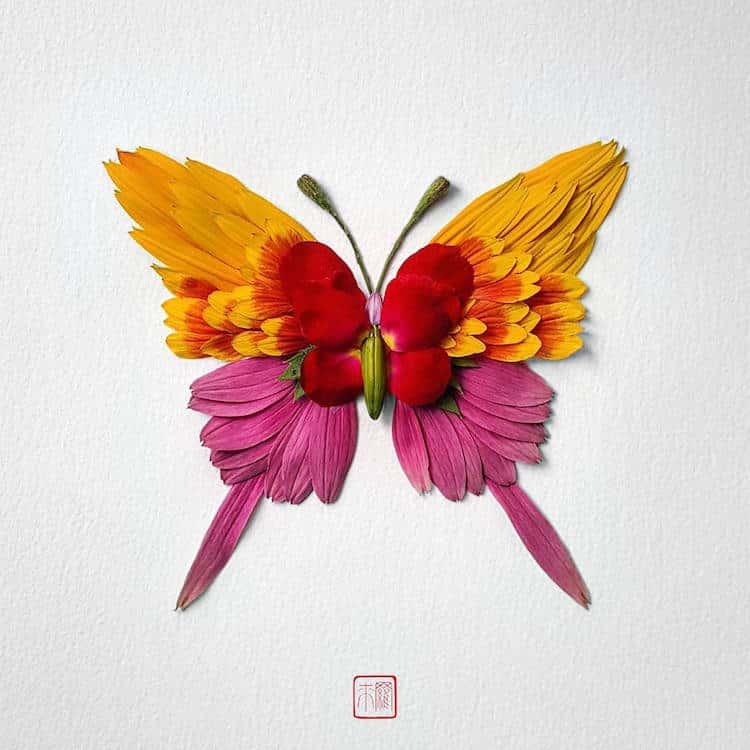 He has many other collections using different experimental materials and unusual mediums. 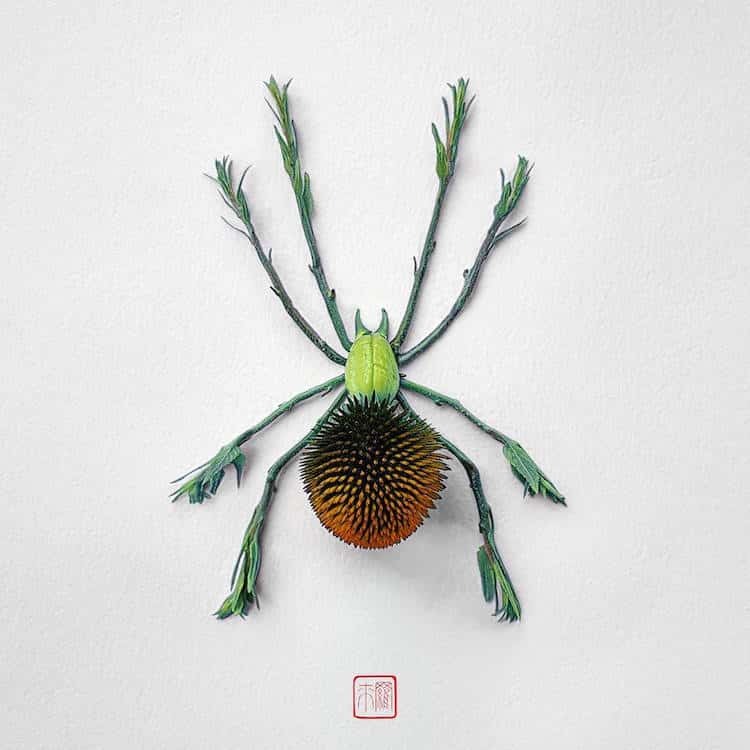 To see more, you can visit his Instagram page. 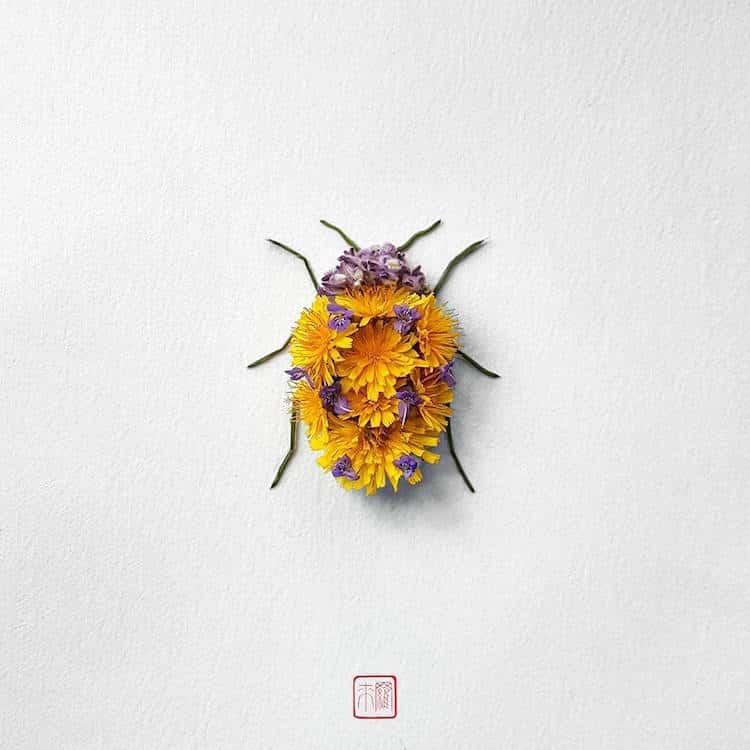 Scroll down to take a look at the series Natura Insects, and be amazed by these awesome floral arrangement.